The beauty of the latest network music hardware is that it makes simple what was once both complex and expensive – the idea of multi-room music. Not so long ago, installing a system to play music in any room of the house was something most of us could only dream about, requiring a rack of equipment the size of a small room hidden away somewhere in the house, control pads and speakers in walls and ceilings in every room you wanted to serve, and wiring run under floors, above ceilings and within walls. No wonder most people only considered such a system if they were a) minted and b) planning a complete home refurbishment. It was a job best left to the experts, on the same scale as re-plumbing, having central heating put or rewiring the house – all for something as seemingly simple as distributing music. Fortunately, wireless networks have changed all that. Once a broadband internet router had flooded the house with radio waves, it soon became clear that not only could you use a computer anywhere in the home rather than being restricted to a study or 'computer room', but that this Wi-Fi could also distribute music, and even video, around the house. These days, the audio mass-market is crammed with rival systems designed to distribute music. Yamaha's MusicCast system of some years back made an early start. However, this was originally just a point-to-point concept, and has only recently been re-invented as a fully flexible wireless set-up: well over 30 devices are now able to 'talk to' each other, from TV soundbars and portable speakers through to amplifiers and even AV receivers. In between the old and new MusicCasts, Sonos entered the market with what has become one of the best-known wireless systems, and its success has attracted many other companies to chase a slice of this lucrative pie. Denon and Marantz parent D+M Group has its HEOS system, initially launched as a standalone 'HEOS by Denon' brand, but now increasingly integrated into more of the two companies' products; Bose has its own wireless system, having offered cabled multi-room for some years; the likes of Samsung and Panasonic are now getting in on the act; NAD/PSB parent Lenbrook has its Bluesound system; and now mainstream companies such as Google and Amazon are muscling in on the market. All have a similar strategy of offering attractive deals on entry-level products or starter packages, in the hopes of reeling in new buyers. Market analysis (as well as common sense) says that the first-time buyers of such products buy another within a few months. And since all the current competing systems are 'closed', anybody wanting to expand the system is required to buy a component from the same brand. 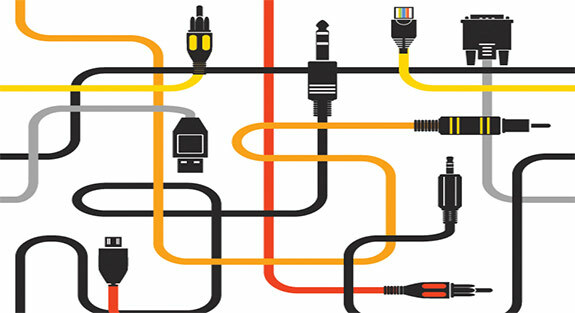 Attempts have been made, mainly by big software companies, to make multi-room systems interoperable between brands. But of course the major consumer electronics names would understandably rather catch buyers and keep them, than open them up to the blandishments of rivals. What's more, the arrival of streaming services like Spotify and Tidal means that the whole music at home landscape has changed in recent years. Customers are no longer tied to storing and accessing their own music collections, but can simply log onto what looks like a limitless online library, streaming whatever they want in return for a monthly subscription. These services are even being taken seriously by the established names in high-end hi-fi, to the extent that just about all of them offer at least one network-enabled products; indeed, some have many, or plan to do so in the near future. 3. Powerline products are more trouble than they're worth when it comes to sound quality. When you think of the extensive strategies some of us employ to ensure we're getting clean power into our systems, why would anyone deliberately introduce a source of mains pollution? Yet that's what 'Ethernet-over-mains' products do, by modulating the mains to carry data. Yes, they're convenient, but just try listening to a system with and without these devices in place, even if they're not directly connected to the hi-fi system, and the effect is almost always very noticeable. 4. 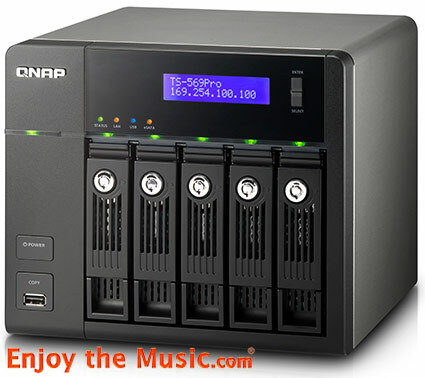 Use a dedicated sub-network between the NAS containing your music and your network player. As 'computer audio' upgrades go, a £30 five-port Ethernet switch and a couple of lengths of Cat 5 cable will bring maximum gain for minimum pain. Connect the NAS to one port, your network player to another, and a third to your internet/Wi-Fi router for control purposes: that way you have a direct wired connection between NAS and player, but still the convenience of Wi-Fi for control using a tablet or even a phone, plus access to streaming and internet radio. 5. Consider changing the UPnP/DLNA software used on your NAS. Not all server packages are equal, and provided your music is tagged correctly with artist/album/tracknumber/ title and so on, odd behaviour by network players when finding and playing it is usually down to oddness in the NAS software making it visible to the player. Having fought with more pre-installed NAS UPnP software than is seemly, I now favour either Asset UPnP or the excellent MinimServer. Fortunately the big NAS makers are increasingly making such packages available as apps, making them simple to install from the server's control panel. 6. Have a think about isolation. Apart from the simple switch route mentioned above, the biggest improvement I have made in my network music system is the introduction of a short length of fibre-optic cable between my Ethernet switch and my player, thus giving electrical isolation between the two. You need a couple of wire-to-fibre converters, and a short run of fibre network 'cable', but the total cost needn't be much more than £100, and the effect is striking in terms of resolution and clarity. I explain more about how it's done here on my website.